I’m writing this on the morning after our final day of tech for Girls. The set, cast and creatives are travelling up to Edinburgh to begin a week at the Pleasance Courtyard and I’ve got lines from the play bouncing around my head. I’m mulling over the last four weeks (where have they gone?) and the surprise/joy of seeing the full production in the dress rehearsal yesterday. This is a play which foregrounds the fierce, funny intelligence of three young girls and it’s been an absolute joy to work on. The atmosphere of the rehearsal room has mirrored (or perhaps created?) that on stage: full of warmth, teasing, laughter. It’s such a credit to the director, Elayce Ismail, that the room has always felt inclusive and creative. In the first week we spent a lot of time trying to unpick the dynamics of an all-consuming, teenage friendship. Elayce set up physical exercises to explore the shifting allegiances and changing leadership which characterise a three-way friendship group. The actors improvised scenes from the girls’ home life, planning weddings and inventing dance routines, fleshing out what the text provided to create a very real bond between them. Alongside this we read and talked about the situation in Northern Nigeria. The impact of Boko Haram on the region is more widespread than I realised, the kidnapping of girls and women much more common. The characters each react differently to their situation, and the more research we did the more difficult it became to judge any one of them for the choices they make. This tour is a restaging of last year’s show, and involves two new cast members and an entirely different concept from the designer, Rosanna Vize. We had the set in rehearsal from the end of the first week, allowing us to play with the boundaries it sets: which spaces are safe, which dangerous? Which claustrophobic? I particularly enjoyed our sessions with the lovely voice coach Hazel, who fine tuned the actors’ Nigerian accents and helped them prep their voices for a five-week tour. It’s possible, however, that my favourite part of the process has been the very last few days, the technical rehearsals. Andy Purves’ lighting design is gorgeous. Mostly side-lit, the girls stand out in vivid colour even as the surrounding theatre melts into darkness. Not only is there a palpable sense of the unknown beyond the main playing area’s safety, it’s a perfect visual representation of how “the girls are more important than what’s happening to them.”* Richard Hammarton’s sound design is equally genius, supporting the storytelling and charting the emotional journey of the play. I think it’s probably worth seeing this piece for the transitions alone. I might be a little bit biased but I genuinely think this is a beautiful production. I hope lots of you get the chance to see it. 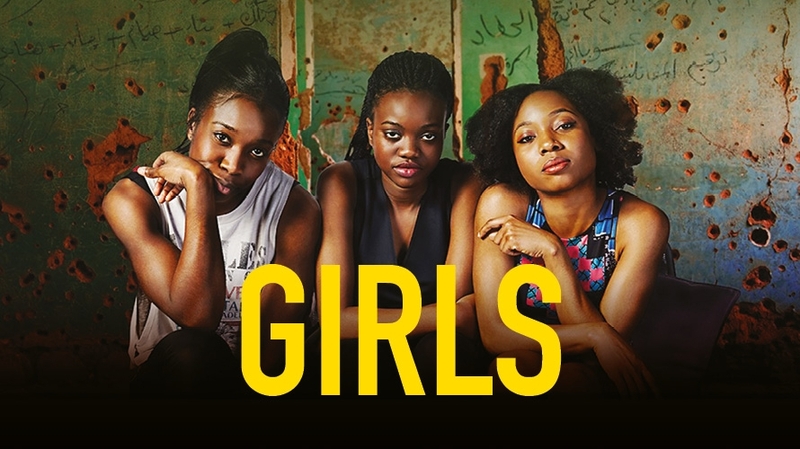 Book to see Girls in The Drum 10 > 14 Oct here.